Capparis spinosa is a plant that thrives in semi-arid rocky regions throughout the Mediterranean. Capers are the flower buds of this plant and if left unpicked they would bloom into a pinkish white flowers with violet stamens.These wild, hand-harvested capers are brined, sun-dried and packed in salt to preserve their delicate flavor and texture, and not in vinegar as is often done with smaller French & Spanish capers. They are ready to open and eat or to use as ingredients to enhance your home cuisine. Classic dishes calling for capers are smoked salmon, skate with brown butter and chicken tajine with lemon. 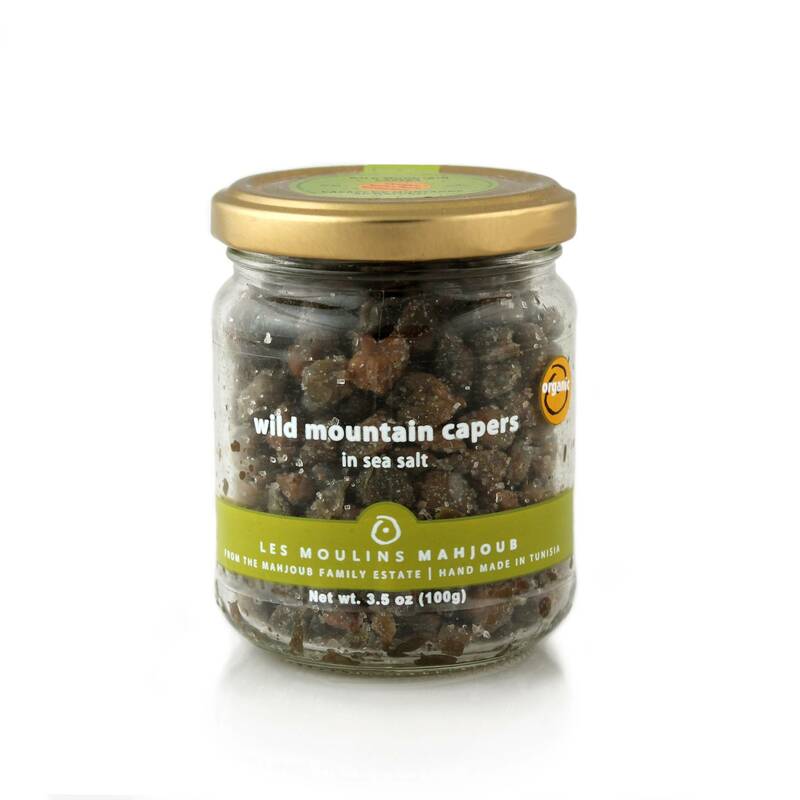 Capers work well with tomatoes and olives.